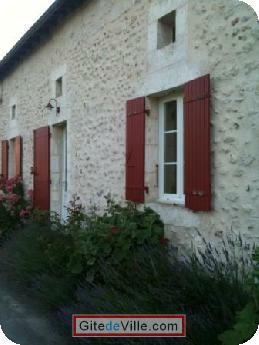 Vacation Rentals - Holiday Rental ads in the city of Razac-sur-l'Isle in France for Tourism. 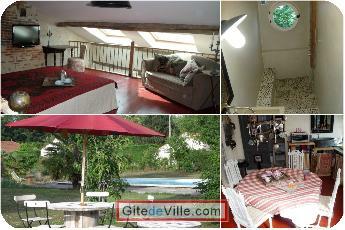 Vacation Rental (and B&B) of 120 m² in Razac-sur-l'Isle for 5 peoples. Locations: jour - weekend - semaine. - Draps, linge de maison: 10 euros par personnes. - Petits déjeuners: 10 euros par personnes. Cuisine à base de produits directement issus de producteurs locaux. Bed and Breakfast Bed and Breakfast - Farm 18th. The cottage sleeps up to 5 people, and is open all year. 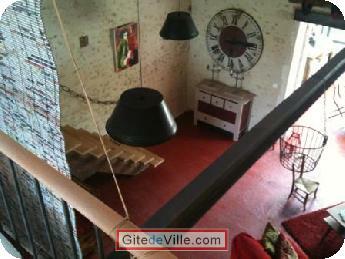 Maya, will welcome you in a former workshop of the 18th century, completely renovated. Stones, bricks, steel beams in a loft style and decor. You have an open space of 90 m2 on the ground floor overlooking the veranda and a garden of 8000 M2. The Mezzanine Room of 25 m2 is equipped with nine 160-bed, a sofa for relaxing and a 40'' LCD TV. 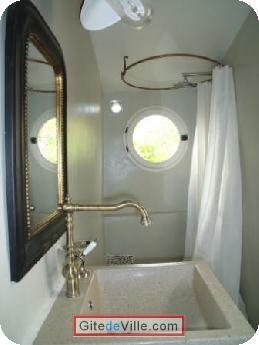 The cottage sleeps up to 5 people. 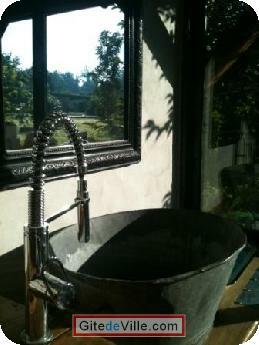 The bathroom is polished concrete and pebbles with a walk-in shower. The kitchen is fully equipped with authentic (ovens, stove, freezer, refrigerator, washing machine ...). Just 10 minutes from the city center of Périgueux. In the center of the four Perigord (green, white, purple and black). 5 minutes from the motorway Bordeaux - Brive. 5 minutes from the Golf of Périgueux and the Exhibition. City World Heritage Site by UNESCO. Last Ads update : 05/06/2014. 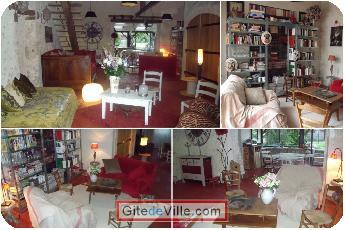 Owner of an urban accomodation or B&B to rent in Razac-sur-l'Isle ?